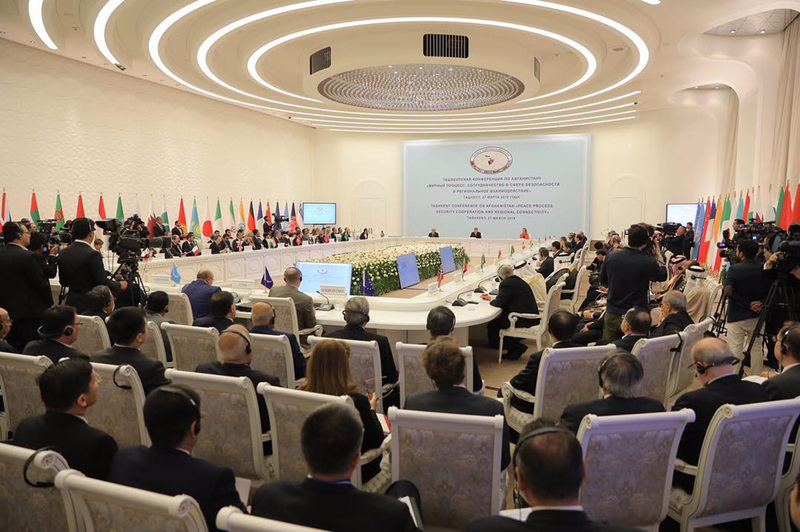 TASHKENT -- The five permanent members of the United Nations Security Council and more than a dozen other national delegations on Tuesday (March 27) declared their support for the peace process in Afghanistan at a two-day conference in Tashkent that began Monday (March 26). The more than 20 signatories of the declaration, which included the United States, Russia, China, France and Britain, committed to a peace process "Afghan-led and Afghan owned", although the Taliban's absence from the high-level conference in Uzbekistan's capital cast doubt over the value of the talks. Earlier this month, Afghan President Ashraf Ghani offered an olive branch to the Taliban, suggesting that they could be recognised as a political party with a legitimate role in Afghanistan's future if they are prepared to negotiate. The Tashkent conference sought to display a united front in support of direct talks between the Afghan government and the Taliban. The declaration distributed at the end of the conference noted the signatories' "strong backing for the [Afghan] National Unity Government's offer to launch direct talks with the Taliban, without any preconditions" and called on the Taliban to accept the offer. Despite repeated calls to participate, the Taliban claimed in a statement sent to AFP via WhatsApp Tuesday that it was "not invited to the Tashkent conference and it is too early to make a statement on its outcome". Although the conference in Tashkent yielded no breakthroughs, it highlighted the potential re-emergence of Uzbekistan as a diplomatic player in the region following a period of relative isolation under late leader Islam Karimov. Uzbekistan boasts a strategic location in Central Asia, bordering four fellow ex-Soviet states -- Kazakhstan, Kyrgyzstan, Tajikistan and Turkmenistan -- as well as Afghanistan. Uzbekistani President Shavkat Mirziyoyev, who came to power after Karimov's death in 2016, has worked to improve ties with regional neighbours that previously saw mixed relations with Tashkent during Karimov's nearly three-decade rule. 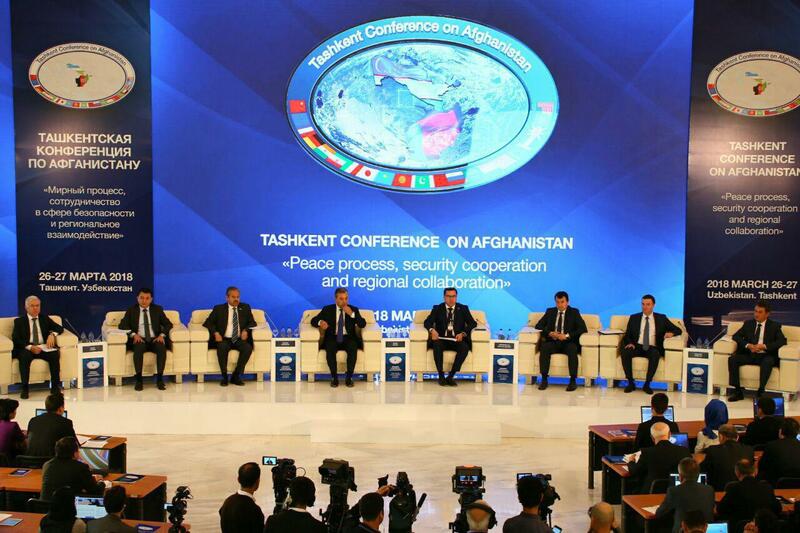 By skipping a Tashkent summit on Afghanistan, the Taliban might have hurt their own cause, observers and participants say. The conference demonstrates international support for peace talks between the Afghan government and the Taliban, stakeholders say. The Taliban failed to participate.